I was embarrassed when I realized that I have been so busy that I had not posted any new content in over a year. Ok, time to fix that! 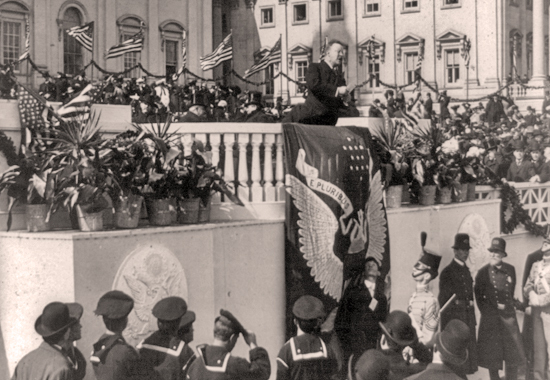 As I present Roosevelt across the country, I am finding more and more people asking me if I would run for President again. Of course, this is tongue-in-cheek, but it really is a desire by our citizens for leadership that connects to most, not only some. With a great leader roll model growing up, President Theodore Roosevelt could apply what he had learned from him, along with his own brilliance, to create a Presidency that today we embrace as visionary. It is my opinion that Roosevelt, as a father of six himself, viewed the role of President as being “the Father of the Country”. If you read his speeches, he often speaks of the importance of the role of the farmer as an American steward, not only of the land, but of the family, and the handing down of their resources thoughtfully from generation to generation. Roosevelt embraced this farmer approach to his Presidency. “Of all the questions that can face our nation, short of it’s preservation in a war, there is none, that compares in the importance, to the great task, of leading this land even a better land for our descendant’s than it is for us”. Great Leaders demonstrate an ability to create a vision that can be embraced by the masses to the benefit of the masses. They recruit great thought leaders to share opinions and work towards a common goal. They support, encourage and recognize the important contribution of all the stakeholders and make them feel they are critical to the agenda’s success. Most importantly, they promote others for the accomplishments when successful, and take personal accountability when they do not. That’s the Leadership that lead to 230,000,000 million acres of land preserved for future generations of Americans. That’s the leadership that held Corporations accountable to follow the laws. That’s the leadership that sent a “great white fleet” across the globe to promote world peace. 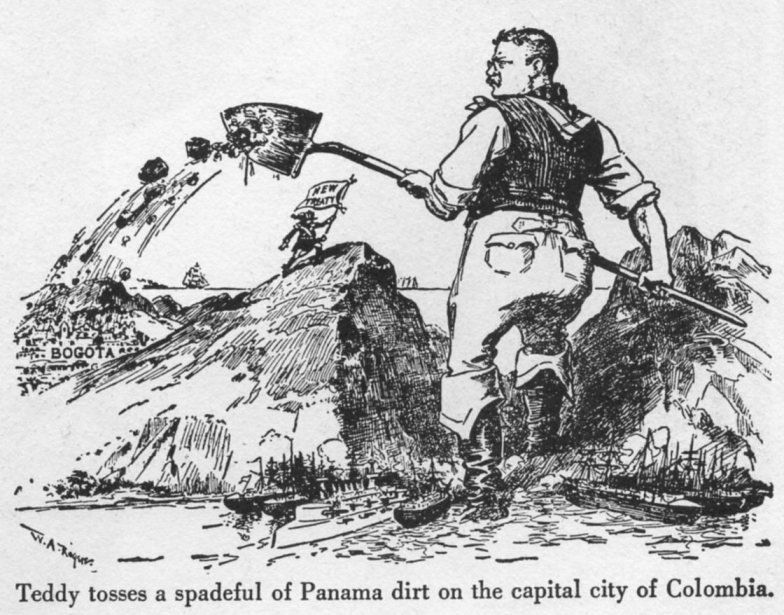 That’s the leadership that built a canal across the Isthmus of Panama. That’s the leadership that earned a great man a Nobel Peace Prize. I am extremely blessed to be able to bring Roosevelt to life for audiences across the country. It’s time I shared a secret: I get as much, if not more back from the people I meet. One of the things I love about “being Teddy” is the opportunity to hear other people’s stories. Over the past week, I met two young boys who will grow to be amazing young men. Their parents gave them names that stand out and I am sure they take a razzing from kids at school. Unlike the shy boy or girl, I often meet who when I ask their names they look away, both of these young boys said their names loud and proud. I wish everyone was born with the idea that they celebrated their uniqueness rather than shied away from it. Their names? Lake and Granite! Great, natural names that will give them a chance to stand out from the crowd. Then there was the 94-year old I met last weekend at the National Parks regional center. Her family had gathered in Omaha Nebraska for a reunion, When I asked the Matriarch if this was something they did often, she leaned into me and in a soft voice said “No, they think I am going to die soon” and then gave a wink. I knew I was in for some life lessons, so I leaned in close and our eyes locked. The the next 45 minutes are a blur as she made me smile and laugh as I learned about her growing up in New York, her move to Omaha, her family and her desire to make it to 100. She was an amazing woman with a family who adored her. Being adored is the sign in life that you are doing the right things, and she had and continues to do so in spades. I love meeting people because you meet character and people of character. Some of my best friends are amazing characters. My friend Tom is the reason I am able to do what I do today. He portrays Buffalo Bill Cody, perhaps one of the best to ever don the outfit, and taught me the art of dressing western and telling a story and staying in touch with friends. My friend Larry is an artist and Olympic level marksman who has taught me you are never too old to follow a dream (He’s not old to me, but to the young folks he competes against, they don’t know what hit them). He is that rare combination of philosopher, artist, and humorist. One who I see only twice a year but who influences me every day is a cowboy/bow fishing friend named Ray. His wit and insights are told in a way only an old cowboy can: “Don’t squat with yur spurs on”,. This should be part of every 4th-grade curriculum. He is a Nebraskan of the finest order and I hope the state has the common sense to erect a statue of him someday. I don’t know what it is about Nebraska, but some of my best “people experiences” happen there. Case in point, This past weekend I met “California Joe”, who happened to stop into the Lewis and Clark National Historic Trail in Omaha the day I was there. As we talked, he shared some insights with me about life and each made me chuckle. As we got to know the other, there came an invitation to visit him in his cowboy camp during the summer. You can be sure I will be going. My point is this: If you watch the television news you will not be seeing the reality of who most of us American’s are. You need to go the local park around the corner, the local baseball game. It is here, where you see children playing, neighbors helping neighbors and people cheering on the little boy or girl who is doing their best. That’s the America most of us enjoy and will continue to do so as long as we are engaged with each other in meaningful dialog and pursuits. Being together is the best way to keep us from growing apart. Once a year, many people who portray Theodore Roosevelt gather in the place where Roosevelt himself called “The place where the romance of my life began” – Medora, North Dakota. This was the second time of my attending the event. It can feel a bit like a mirror has been held up and you are seeing yourself! The wonderful part of the event is that it is a Comraderie and not a competition. We all come together to learn from each other. 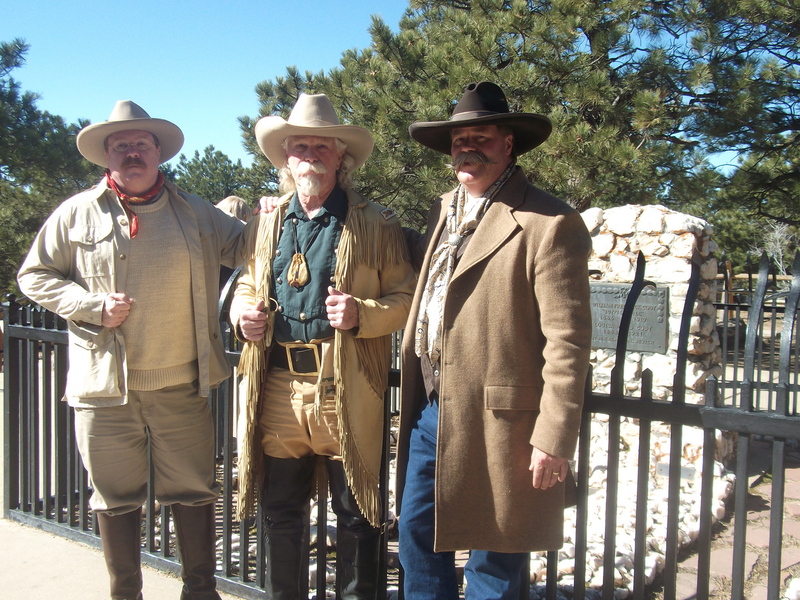 Some new people come that have only begun to explore being Teddy Roosevelt. It is perhaps the most rewarding to see those people because you watch them blossom from being frightened to being enthusiastic! The Theodore Roosevelt Medora Foundation is the organization that has been the brain child with creation of this event along with able guidance of the famous Roosevelt reprisers Joe Weigand along with Larry and Julia Marple. If you are fortunate enough to visit Medora this summer or next, these are the people you are seeing representing the famous President and our first lady. This event is extremely valuable for people like me. It’s a chance to see how other people interpret Roosevelt and to learn about Roosevelt stories that we can share with others. It also represents an opportunity to meet with local historians who are amazing in their ability to source additional local stories and information that we can share with others. Because of their generosity, we are able to strengthen our ability to understand the amazing man who is Teddy Roosevelt. If you are a Roosevelt fan, I highly recommend that you go to Medora and experience what we all experience from our event, the beauty and the revigeration that comes from going there. To understand Roosevelt requires a visit. I hope we can count on you being there! Theodore Roosevelt was particularly fond of retelling the story of his pursuit and capture of the boat thieves in the badlands. He put the story on paper in his 1888 book Ranch Life and the Hunting Trail. In early spring of 1886, just as the ice was beginning to break up on the Little Missouri River, three thieves cut Roosevelt’s boat from its mooring at the Elkhorn Ranch and took it downriver. Roosevelt, out of personal pride and duty as a Billings County Deputy Sheriff, chased after them with his ranch hands Bill Sewall and Wilmot Dow. On the other side, Roosevelt discovered evidence of mountain lions hunting deer among the bluffs. He followed the trail, but, after losing the trail, he headed back, determined to hunt the mountain lions the next day. Roosevelt had also brought along a copy of Tolstoy’s Anna Karenina, and a camera to document the capture. Through numbing cold, they continued their pursuit. 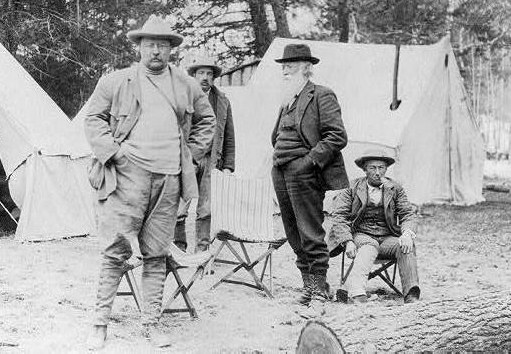 Upon reaching an impassable ice jam in the river, Roosevelt, Sewall, and Dow debated how to proceed. Unwilling to abandon their supplies, they chose to wait for the icy river began to flow again. In my work recreating Theodore Roosevelt, I have come to the belief that he looked upon his role as a leader as he did as a father. His job, if done well, was to leave the world better for his family (which in his mind included the American people) and leave a good family name. His own Father, Theodore Roosevelt was the man he admired most and trying to emulate him by his own actions would be consistent with his beliefs. What is the lesson we should learn from Roosevelt? That each of us contributes to the fabric of our shared country, and that it starts with how we treat our children and our neighbors children. We are the ones who help create the kind of men and women who have strong morals, strong ideals and ultimately, concern for one another. During my presentations, many are surprised by the loose protections of our public lands. They should not be surprised – they should be alarmed! President Roosevelt was a visionary who looked far ahead in the future and decided that he had a moral obligation to do his best to protect our wilderness areas so that future generations could enjoy them. The first step was meeting with Congress to persuade them to expand our National Parks. During his time, the number of Parks would double, but not all of those parks still exist. In fact, 2 out of the 5 he signed into law no longer function as “National Parks” but rather have been reassigned to different categorization. In fact, our 2nd National Park, Mackinaw Island, no longer exists as a National Park at all. What Congress creates, they can take away. They can, and given the chance, they will. They will because they will look at the value not for it’s beauty but rather the resources under the grandeur. The only people who can potentially stop it are the owners of the land – you and I. The only way we can do so is by being vocal to our representatives. They do listen. It’s your vote that employs them. 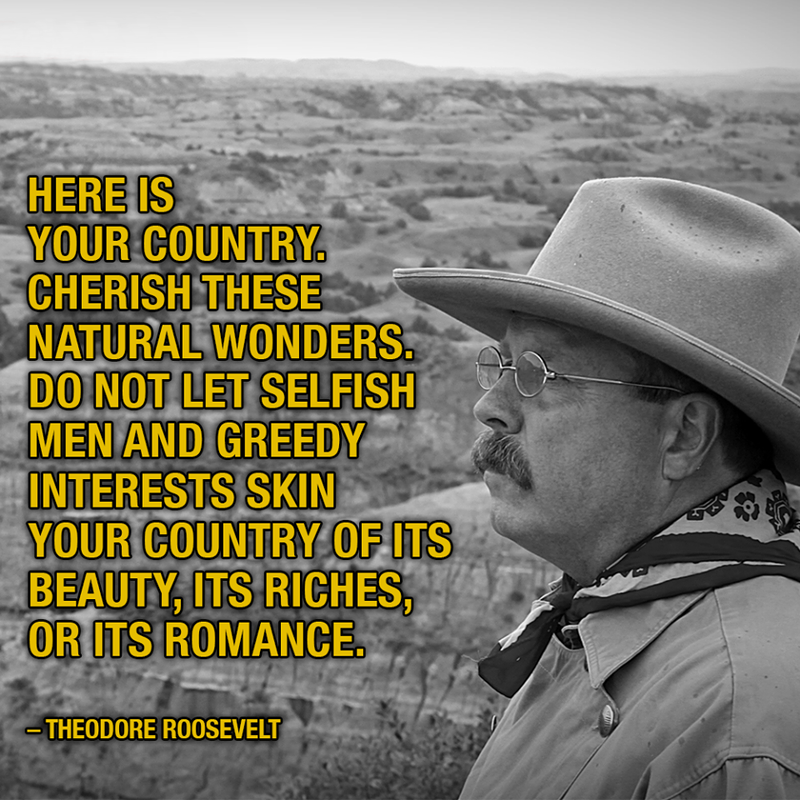 Roosevelt understood that Congress wasn’t saving the land faster than those looking to grab the resources. Because of this, the Antiquities Act of 1906 allowed the President to declare certain land already owned by the government special status as a National Monument. The idea was to protect them for all future generations. This past week I was in Washington D.C. to listen to a group of lawyers, a Senator and Congressman who are fighting to undue the Antiquities Act. It is a shame that these people cloak their actions on behalf of a privileged class into a fight to undue “Big Government”. What we sometimes fail to understand about “Big Government” is that many times it became big because there are people who chose to either bend, test or break the rules. Each time that happened, new laws or nuance in the law needed to be created to curb the abuse. There will never be a lack of those who see their duty on earth to test the rules for their personal interests. It is happening now, and your voice is needed if you cherish your public lands. Do not be swayed by headlines. Be swayed by your conscious to protect our public lands for the next generations. “For of all the questions that can come before our great nation, there is none that compares in importance to the great central task of leaving this land even a better land for our descendants than it is for us” Theodore Roosevelt. My fellow-citizens, no people on earth have more cause to be thankful than ours, and this is said reverently, in no spirit of boastfulness in our own strength, but with gratitude to the Giver of Good who has blessed us with the conditions which have enabled us to achieve so large a measure of well-being and of happiness. To us as a people it has been granted to lay the foundations of our national life in a new continent. We are the heirs of the ages, and yet we have had to pay few of the penalties which in old countries are exacted by the dead hand of a bygone civilization.We have not been obliged to fight for our existence against any alien race;and yet our life has called for the vigor and effort without which the manlier and hardier virtues wither away. Under such conditions it would be our own fault if we failed; and the success which we have had in the past, the success which we confidently believe the future will bring, should cause in us no feeling of vainglory, but rather a deep and abiding realization of all which life has offered us; a full acknowledgment of the responsibility which is ours; and a fixed determination to show that under a free government a mighty people can thrive best, alike as regards the things of the body and the things of the soul. Much has been given us, and much will rightfully be expected from us. We have duties to others and duties to ourselves; and we can shirk neither.We have become a great nation, forced by the fact of its greatness into relations with the other nations of the earth, and we must behave as beseems a people with such responsibilities. Toward all other nations, large and small, our attitude must be one of cordial and sincere friendship. We must show not only in our words, but in our deeds, that we are earnestly desirous of securing their good will by acting toward them in a spirit of just and generous recognition of all their rights. But justice and generosity in a nation, as in an individual, count most when shown not by the weak but by the strong. While ever careful to refrain from wrongdoing others, we must be no less insistent that we are not wronged ourselves. We wish peace,but we wish the peace of justice, the peace of righteousness. We wish i because we think it is right and not because we are afraid. No weak nation that acts manfully and justly should ever have cause to fear us, and no strong power should ever be able to single us out as a subject for insolent aggression. Yet, after all, though the problems are new, though the tasks set before us differ from the tasks set before our fathers who founded and preserved this Republic, the spirit in which these tasks must be undertaken and these problems faced, if our duty is to be well done, remains essentially unchanged.We know that self-government is difficult. We know that no people needs such high traits of character as that people which seeks to govern its affairs aright through the freely expressed will of the freemen who compose it. But we have faith that we shall not prove false to the memories of the men of the mighty past. They did their work, they left us the splendid heritage we now enjoy. We in our turn have an assured confidence that we shall be able to leave this heritage unwasted and enlarged to our children and our children’s children. To do so we must show, not merely in great crises, but in the everyday affairs of life, the qualities of practica lintelligence, of courage, of hardihood, and endurance, and above all the power of devotion to a lofty ideal, which made great the men who founded this Republic in the days of Washington, which made great the men who preserved this Republic in the days of Abraham Lincoln. 2016 has been a whirlwind year of presentations across the country on the wit, wisdom and leadership of Theodore Roosevelt. As I have traveled during this turbulent political year, I have purposely focused on bringing a positive message to my audiences. My emphasis has been on the importance of overcoming our obstacles in life (TR and his asthma). 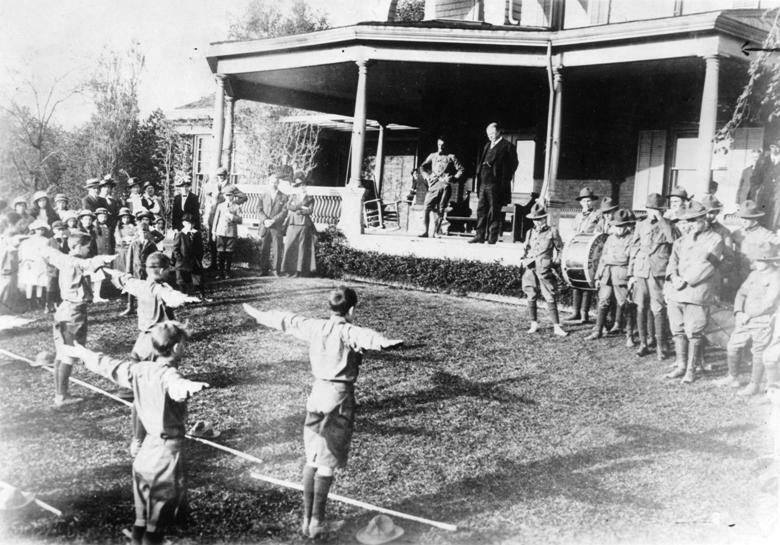 I speak often on Roosevelt’s skill of making friends across a spectrum of interests, status and experience (TR had friends from Cowboys to Kings). I stress the importance of a good handshake and an honest look in the eye. We need positive inputs, because I believe we are being conditioned to react only to negative ones. If we believe as a society that the only way to progress is to beat down those next to us, we are missing the message that TR wanted us to learn: The idea that we all deserve a square deal in this country. A square deal is one built on the positive. Work hard, be honest and do your part – and in the end, you will live a good life and leave a good name. But it is larger than that. In the end, if we all do it right, we leave behind a stronger country for our children and their children. You have impact. Your children are watching you and taking cues from how you behave towards others. They watch your actions and will model what they see. Do it right, and the reward will be large. A legacy of great generations after you. Theodore Roosevelt laid the cornerstone to the building that would house the Lincoln cabin on Feb 12 1909, the 100th anniversary of Abraham Lincoln’s birth. 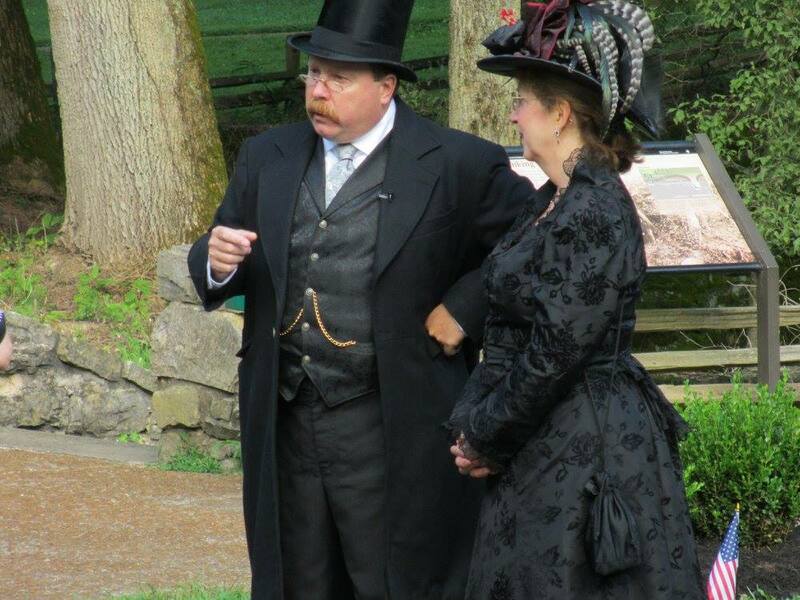 To celebrate this event, the Abraham Lincoln Birthplace National Historic Park allowed me the honor of giving the speech that Roosevelt gave on that historic day. To be part of the 100th Anniversary of the National Park service celebration and more specifically to be given this privilege on the 100th birthday of the Abraham Lincoln Birthplace National Historic Park, was an amazing experience. Roosevelt’s words were as poignant today as they were then. As I spoke, I was fortunate to have something Roosevelt did not – the memorial in front of me, the 56 steps leading to a magnificent building that holds a small log cabin that reminds us that great leaders come often from humble beginnings. A tribute to a true leader who forever saved this nation. I was fortunate to be joined with many great speakers that day, including an amazing FDR, Einsenhower, Lincoln and Mark Twain. More importantly, I was assisted by a park staff that was passionate, committed and who truly love their jobs, their parks and their country. I will be forever humbled by the opportunity to recreate history while becoming part of the history of this amazing place. Thank you Abraham Lincoln Birthplace National Historic Park and the National Park Service. The Declaration of Independence was a bold move by our forefathers to push forth an idea that has become an ideal across the globe. Of course, jealousy of our system means that we must constantly defend it against those who would want to change it to their will. This protection of our liberty is accomplished by brave men and women who serve our Country everyday. Elected officials and those who promise to protect and serve, both in the military and our police forces do an important job. Most importantly, by each of us, who are vigilant to remember that what we have is unique and worth saving and protecting. This 4th of July, as you celebrate with family, food and fireworks, stop and take a moment to reflect on how truly fortunate you are. America is an amazing place, and it is made up of mostly hard working people who care about their fellow man. It is made of people of Character, who help those in need and celebrate differences. It is made up of all colors and races and genders. A common people who live, work and play together with an understanding that together we stand, divided we fall. Celebrate your 4th with joy and appreciate America the Wonderful. I was teaching at a school the other day about Roosevelt when I decided to ask them about their perception of the current political turmoil. This is a pretty common discussion among my adult programs, but I had never brought it up to 3rd and 4th graders before. It made me realize that we are not teaching our children the baseline of what is important – the skills that make each of us not only influencer’s in our small local world, but leaders the greater world. It concerns me when Honesty is not on a child’s list of important attributes for a leader. Shouldn’t we start there if we want to have the best future for our next generation? We teach our children how to compete in almost everything they do – perhaps it is time we find a way to make honesty a competition instead of an anomaly.